Álvarez, A. & Toja, P. (2018) "An informal survey on the application of General Morphological Analysis in the private sector" , in Ritchey, T. & Arciszewski, T. (Eds.) (2018) "General Morphological Analysis: Modelling, Forecasting, Innovation", Special Issue of Technological Forecasting and Social Change, Elsevier. Akgun, I. (2015) "Likelihood Estimation of Intentional Events in Risk Management: Evidence Based Intelligent Morphological Analysis Approach", in Kahraman, C. & Çevik Onar, S. (Eds.) (2015) Intelligent Techniques in Engineering Management, Springer: Intelligent Systems Reference Library (87). Arciszewski, T. (1985) "Decision-Making Parameters and Their Computer-Aided Morphological Analysis for Wind Bracings in Steel Skeleton Structures". Advances in Tall Buildings, Hutchinson Ross Publishing Company. Arciszewski, T.(1987) "Mathematical Modelling of Morphological Analysis", Mathematical Modelling, Volume 8, Pages 52-56. Arciszewski, T. (2018) "Morphological Analysis in Inventive Engineering", in Ritchey, T. & Arciszewski, T. (Eds. )(2018) "General Morphological Analysis: Modelling, Forecasting, Innovation", Special Issue of Technological Forecasting and Social Change, Vol 126, Elsevier. Ayres, Robert U. (1969) "Morphological Analysis", inTechnological Forecasting and Long Range Planning, New York: McGraw-Hill, Inc., 1969, Chap. 5, pp. 72-93. Belaziz, M., Bouras, A. & Brun, J-M (2000) "Morphological analysis for product design", Computer-aided Design - CAD , 32(5-6). Bezerra, C. & Owen C. L. (2000) "Evolutionary Structured Planning. A Computer-Supported Methodology for the Conceptual Planning Process", in Gero, J. (ed.) (2000) Artificial Intelligence in Design'00, Dordrecht: Kluwer Academic Publishers. Bridgewater, A. V.: "Morphological Methods - Principles and Practice." Technological Forecasting. R. V. Arnfield, ed. Conference on Technological Forecasting, University of Strathclyde, 1968. Edinburgh: University Press, 1969, pp. 241-252. Bridgewater, A. V. "Long Range Process Design and Morphological Analysis." The Chemical Engineer, April 1968, pp. CE 75-CE 81. Bridgewater, A. (1969) "Morphological Methods - Principles and Practice", in Arnfield, R. (ed.) (1969) Technological Forecasting, University of Strathclyde. Edinburgh University Press. Buzuku S., Kraslawski A. (2019) Optimized Morphological Analysis in Decision-Making. In: Chechurin L., Collan M. (eds) Advances in Systematic Creativity. Palgrave Macmillan, Cham. Buzuku, S., Farfan Orozco, F., Harmaa, K., Kraslawski, A. & Kässi, T. (2019), A Case Study of Complex Policy Design: The Systems Engineering Approach, Complexity (9), pp. 1-23. Card, S.K., Mackinlay, J.D. 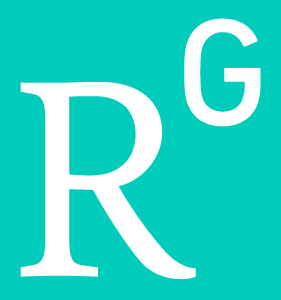 & Robertson, G.G. (1991) "A Morphological Analysis of the Design Space of Input Devices", ACM Transactions on Information Systems, 9(2). Xerox Palo Alto Research Center. Correia da Silva, L. (2011) "Morphological Analysis of the Introduction of Electric Vehicles in São Paulo's Urban Traffic", Future Studies Research Journal, São Paulo, 3(1). Coyle, R.G. : Practical Strategy: A Structured Approach and Techniques, Pearson Education, London, 2004. Coyle, R. G., Crawshay, R. and Sutton, L.: Futures Assessments by Field Anomaly Relaxation, Futures 26(1), 25-43 (1994). Coyle, R. G., McGlone, G. R.: Projection Scenarios for South-east Asia and the South-west Pacific, Futures 27(1), 65-79 (1995). Coyle, R.G. and Yong, Y. C.: A Scenario Projection for the South China Sea. Futures 28 (3), 269-283 (1996). Dartnall, J. & Johnston, S. (2004) "Trend-Morph-PDS: A Methodology for Innovative (Mechanical) Engineering Design". ASME 7th Biennial Conference on Engineering Systems Design and Analysis, Volume 3 (2004), Manchester. Duczynski, G. (2004) “Systems Approaches to Economic Development for Indigenous People: A Case Study of the Noongar Aboriginals of Australia”, Futures 36(8). Duczynski, G. (2017) "Morphological analysis as an aid to organisational design and transformation", Futures, Volume 86, Elsevier. Duczynski, G. (2018) "Investigating traffic congestion: Targeting technological and social interdependencies through general morphological analysis", in Ritchey, T. & Arciszewski, T. (Eds. )(2018) "General Morphological Analysis: Modelling, Forecasting, Innovation", Special Issue of Technological Forecasting and Social Change, Vol. 126, Elsevier. Evbuomwan, N. (1997) "Generation of Design Solutions using Morphological Analysis", International Conference on Engineering Design, Iced 97, Tampere. Fátima Teles, M. & Freire de Sousa, J. (2018) "Linking Fields with GMA: Sustainability, Companies, People and OR", in Ritchey, T. & Arciszewski, T. (Eds. )(2018) "General Morphological Analysis: Modelling, Forecasting, Innovation", Special Issue of Technological Forecasting and Social Change, Vol. 126. Elsevier. Feng, X & Fuhai, L. (2012) "Patent text mining and informetric-based patent technology morphological analysis: an empirical study", Technology Analysis & Strategic Management, 24(5). Gcaza, N., von Solms, R., Grobler, M. & van Vuuren, J. (2017). "A general morphological analysis: delineating a cyber-security culture", Information & Computer Security, 25(3), Emerald Publishing Limited. Gerardin, L: "Morphological Analysis: A Method for Creativity." A Guide to Practical Technological Forecasting. New Jersey: Prentice-Hall, 1973. Glenn, J. & Gordon, T. (eds.) (2009). The Millennium Project: Futures Research Methodology, Version 3.0, Chapter 17: "Morphological Analysis", The Millennium Project. Gogu, G. (2005) "Evolutionary Morphology", in Bramley, A, Brissaud, D., Coutellier, D. & McMahon , C. (2005) Advances in Integrated Design and Manufacturing in Mechanical Engineering, Springer. Grant, D.P. (1977) "How to Construct a Morphological Box". Journal of Design Methods and Theories, Vol. 11, No. 3. Grant, D.P. (1984) Creative idea production in architecture: The Morphological Approach, Design Methods Group, San Luis Obispo. Gregory, S. A. "Morphological Methods: Antecedents and Associates." Technological Forecasting, Some Techniques. Symposium at Aston University, Birmingham, September 9 and 10, 1969. Hall, Arthur D. "Three-Dimensional Morphology of Systems Engineering." IEEE Transactions on Systems Science and Cybernetics, April 1969, pp. 156-160. Haydo, P. (2018) "From Morphological Analysis to Optimizing Complex Industrial Operation Scenarios", in Ritchey, T. & Arciszewski, T. (Eds. )(2018) "General Morphological Analysis: Modelling, Forecasting, Innovation", Special Issue of Technological Forecasting and Social Change, Vol. 126, Elsevier. Im, K & Cho, H (2013) "A systematic approach for developing a new business model using morphological analysis and integrated fuzzy approach", Expert Systems with Applications, 40(11). Jantsch, E. (1967) Technological forecasting in perspective, OECD, Paris. Jimenez, H. & Mavris, D. (2010) "An Evolution of Morphological Analysis Applications in Systems Engineering", Proceedings of the 48th AIAA Aerospace Sciences Meeting Including the New Horizons Forum and Aerospace Exposition, Orlando, Florida. Jimenez, H., Stults, I. & Mavris, D. (2009) "A Morphological Approach for Proactive Risk Management in Civil Aviation Security", Proceedings of the 47th AIAA Aerospace Sciences Meeting, American Institute of Aeronautics and Astronautics, Orlando. Johansen, I. (2018) "Scenario Modelling with Morphological Analysis", in Ritchey, T. & Arciszewski, T. (Eds. )(2018) "General Morphological Analysis: Modelling, Forecasting, Innovation", Special Issue of Technological Forecasting and Social Change, Vol. 126, Elsevier. Johansen, I. (2017) "Tiered Modelling - A Solution to Hyper-Coherent Morphological Models? ", Acta Morphologica Generalis, 6(1). Jones, H. (1976). "Morphology and creativity in technological forecasting". R&D Management, Volume 6, Issue 3, pp. 125-130. Junfang Guo, Xuefeng Wang, Qianrui Li, Donghua Zhu (2016), "Subject-action-object-based morphology analysis for determining the direction of technological change, Technological Forecasting & Social Change, 105 (2016). Kannengiesser, U. (2009) "An Ontological Basis for Design Methods", in Undisciplined! Design Research Society Conference 2008, Sheffield Hallam University, Sheffield. Kannengiesser, U., Williams, C. & Gero, J.S. (2013) "What Do the Concept Generation Techniques of Triz, Morphological Analysis and Brainstorming have in Common? ", International Conference on Engineering Design, ICED 13, Seoul. Kosow, H. & Gaßner, R. (2008) "Methods of Future and Scenario Analysis. Overview, Assessment, and Selection Criteria". Studies / Deutsches Institut für Entwicklungspolitik. Kumar, J.A. & Ganesh, L.S. (2009) "Research on knowledge transfer in organizations: a morphology", Journal of Knowledge Management, 13(4). Kuriakose, K.K, Raj, B., Satya Murty, S.A.V., Swaminathan, P. (2010) "Knowledge Management Maturity Models - A Morphological Analysis", Journal of Knowledge Management Practice, 11(3). Lee, J. & Hong, Y. (2011) "A Morphological Approach to Business Model Creation using Case-Based Reasoning", Proceedings of the International Conference on Engineering Design, ICED 11, Technical University of Denmark. Leenen, L., Modise, M. & le Roux, H. (2009) "A model for peace support operations: an overview of the ICT and interoperability requirements", Proceedings of the 4th International Conference on Information Warfare and Security, Cape Town, South Africa. Levin, M. S. (2012) "Morphological methods for design of modular systems (a survey)", arXiv:1201.1712v1. Li, Z. & Gómez, J. (2015) "Modeling for sustainable product development strategies with general morphological analysis", in Douglas Cunningham, Petra Hofstedt, Klaus Meer, Ingo Schmitt (Hrsg. ), INFORMATIC 2015 Lecture Notes in Informatics (LNI), Gesellschaft für Informatik, Bonn. Mozuni, M. & Jonas, W. (2016) "Morphological Analysis and Future-Oriented Innovation Management: Lessons from Foresight Research", Proceedings of Relating Systems Thinking and Design Symposium (RSD), Toronto. Müller-Merbach, H.: The Use of Morphological Techniques for OR-Approaches to Problems. In: Operations Research 75. Amsterdam, New York, Oxford. North-Holland Publishing Company, pp. 127-139 (1976). Niewoehner, N, Albers, A., Rabe, M. % Dumitrescu, R. (2018) "Morphological business model analysis to derive the dominant industry logic". ISPIM Innovation Symposium; Manchester: The International Society for Professional Innovation Management. O'Neal, C. (1970) "New approaches to technological forecasting- Morphological analysis: An integrative approach", Business Horizons, 13(6). Ostertagova, E., Ková, J., Ostertag, O., Malega, P. (2012). "Application of Morphological Analysis in the Design of Production Systems", Procedia Engineering, Vol. 48, pp. 507-512. Petrusel, R. & Mocean, L. (2007) "Modeling decisional situations using morphological analysis". Informatica Economica, 4 (44). Plauché, M., de Waal, A., Grover, A S. & Gumede, T. (2010) "Morphological Analysis: A Method for Selecting ICT Applications in South African Government Service Delivery", Information Technologies & International Development, 6(1). Proctor, R. (1991) "The Importance of Creativity in the Management Field", British Journal of Management, 2(4). Proposka, A. (2001) "Application of Morphological Analysis Methodology in Architectural Design", Acta Polytechnica, 41(1). Rhyne, R.: Whole-Pattern Futures Projection, Using Field Anomaly Relaxation, Technological Forecasting and Social Change 19, 331-360 (1981). Rhyne, R.: Field Anomaly Relaxation - The Arts of Usage, Futures 27 (6), 657-674 (1995a). Rhyne, R.: Evaluating Alternative Indonesian Sea-Sovereignty Systems, Informs: Institute for Operations Research and the Management Sciences (1995b). Rickards, T. "Designing for Creativity: A State of the Art Review". Design Studies, Vol. 11, No. 5, U.K. (1980). Ritchey, T. (1997). "Scenario Development and Risk Management using Morphological Field Analysis". Proceedings of the 5th European Conference on Information Systems (Cork: Cork Publishing Company) Vol. 3:1053-1059 (1997). Ritchey, T. (1998). "Fritz Zwicky, 'Morphologie' and Policy Analysis", Paper presented at the 16th Euro Conference on Operational Analysis, Brussels, July 1998. Ritchey, T. (2011). Wicked Problems/Social Messes: Decision support Modelling with Morphological Analysis. Springer: Berlin. Royston, G. "Morphological Analysis and the Development of the Brewing Process." Technological Forecasting, Some Techniques. Symposium at Aston University, Birmingham, September 9 and 10, 1969. Roy, A. & Garg, J.K. (2014). "Risk Management Using Morphological Field Analysis: A Case Study From Nellore District, India", in A.P. Pradeepkumar, F.­J. Behr, F.T. Illiyas and E. Shaji (eds. ): Proceedings of the 2nd Disaster, Risk and Vulnerability Conference 2014. Dept of Geology, Uni Kerala, Trivandrum, India. Rudnicki, K. (1989). Philosophical foundations of Zwicky's morphological approach in science, in P. Flin, & H. W. Duerbeck (Red. ), Morphological Cosmology (Vol.332: Lecture Notes in Physics). Berlin: Springer Verlag. Seidenstricker, S. & Linder C. (2014) "A morphological analysis-based creativity approach to identify and develop ideas for BMI", International Journal of Entrepreneurship and Innovation Management, 18(5). Seidenstricker, S., Scheuerle, S. & Linder, C. (2014). "Business Model Prototyping - Using the Morphological Analysis to Develop New Business Models", Procedia - Social and Behavioral Sciences, Volume 148. Sharif, A. & Irani, Z. (2006) "Applying a fuzzy-morphological approach to complexity within management decision-making", Management Decision, 44(7). Sholeha, M., Ghasemib, A. & Shahbazi, M. (2018) "A new systematic approach in new product development through an integration of general morphological analysis and IPA", Decision Science Letters 7, 181-196. Shurig, R. (1986) "Morphology: A Knowledge Tool", Systems Research, Vol. 3, No. 1, pp. 9-19. Stamati D., Sirbu MD., Dascalu M., Trausan-Matu S. (2018) Exploring General Morphological Analysis and Providing Personalized Recommendations to Stimulate Creativity with ReaderBench. In: Chang M. et al. (eds) Challenges and Solutions in Smart Learning. Lecture Notes in Educational Technology. Springer, Singapore. Stenström, M. (2013) "Morphological Analysis in Groups: A Personal Guide", Swedish Defence Research Agency, Stockholm, Report No. FOI-R--3678-SE. Stöckli, A. & Müller, R.. Fritz Zwicky – An Extraordinary Astrophysicist. Cambridge Scientific Publishers, Cambridge, 2011. Storbacka, K. & Nenonen, S. (2012) "Competitive Arena Mapping: Market Innovation using Morphological Analysis in Business Markets", Journal of Business-to-Business Marketing, 19(3). Swanich, S. (2014) "A Critical Evaluation of General Morphological Analysis as a Future Study Methodology for Strategic Planning", Gordon Institutive of Business Science, University of Pretoria. Taylor, T. (1967) "Preliminary survey on non-national nuclear threats", Stanford Research Institute Technical Note SSC-TN-5205-83. Technology Futures Analysis Methods Working Group (2004) "Technology futures analysis: Toward integration of the field and new methods", Technological Forecasting and Social Change, 71(3). The Futures Group International (1994) "Relevance tree and morphological analysis", Futures Research Methods, V. 2.0, AC/UNU Millennium Project, 1994. Turley, R., Richardson, W. and Hansen, J. (1975) "Morphological analysis for health care systems planning", Socio-Economic Planning Sciences, 9(2). Vijaya Sunder M., Marathe, R. & Ganesh, L. (2018), "A morphological analysis of research literature on Lean Six Sigma for services", International Journal of Operations & Production Management, (January 2018). Villegas Medina, G., Pham, M. & , Marquis-Favre, W. (2009) "A Modified Zwicky's Morphological Analysis: Application to the design of a robotic laparoscope," Proceedings of the International Federation for Medical and Biological Engineering (IFMBE), (22). Voros J. Morphological prospection: Profiling the shapes of things to come. Foresight 2009;11(6). Voros, J. (2018) "On a morphology of contact scenario space", in Ritchey, T. & Arciszewski, T. (Eds. )(2018) "General Morphological Analysis: Modelling, Forecasting, Innovation", Special Issue of Technological Forecasting and Social Change, Vol. 126, Elsevier. Watts, R. D.: "Some Theoretical Principles in Morphological Analysis." Technological Forecasting, Some Techniques. Symposium at Aston University, Birmingham, September 9 and 10, 1969. Wild, P. (1989). Fritz Zwicky. in P. Flin, & H. Duerbeck (Red. ), Morphological Cosmology (Vol. 332: Lecture Notes in Physics). Berlin: Springer Verlag. Wills, R. J., and Hawthone, E. P. "Morphological Methods Applied to Metalworking Processes." In Technological Forecasting, Some Techniques. Symposium at Aston University, Birmingham,September 9 and 10, 1969. Yoon, B. & Park, Y. (2005) "A systematic approach for identifying technology opportunities: Keyword-based morphology analysis", Technological Forecasting and Social Change, 72(2). Yoon, B., & Park, Y. (2007): Development of New Technology Forecasting Algorithm: Hybrid Approach for Morphology Analysis and Conjoint Analysis of Patent Information, Engineering Management, IEEE Transactions on, 54, p. 588-599. Zec, M. & Matthes, F. (2018) "Web-based Software-Support for Collaborative Morphological Analysis in Real-Time", in Ritchey, T. & Arciszewski, T. (Eds. )(2018) "General Morphological Analysis: Modelling, Forecasting, Innovation", Special Issue of Technological Forecasting and Social Change, Vol. 126, Elsevier. Zeiler, W. & Savanovic, P. (2009) "Morphological analysis of design concepts emergence in design meetings", Proceedings the 17th International Conference on Engineering Design, ICED 09. Zeiler,W. (2011) "Morphological Analysis of a Sustainable School Design", Proceedings of the International Conference on Engineering Design, ICED 11, Technical University of Denmark. Zeiler, W. (2018) "Morphology in conceptual building design", in Ritchey, T. & Arciszewski, T. (Eds. )(2018) "General Morphological Analysis: Modelling, Forecasting, Innovation", Special Issue of Technological Forecasting and Social Change,Vol. 126, Elsevier. Zheng,W., Kankaanranta, J. & Suominen, A. (2012) "Morphological analysis of technologies using multidimensional scaling", Journal of Business Chemistry, 9(3). Zwicky, F.: "Morphology and Nomenclature of Jet Engines", Aeronautical Engineering Review. Vol. 6, No 6., June 1947, s. 49-50. Zwicky, F.: "The Morphological Method of Analysis and Construction", Courant. Anniversary Volume. New York: Intersciences Publish., 1948, pp. 461-470. Zwicky, F.: "Morphology of aerial propulsion", Helvetica Physica Acta. Vol. XXI, Heft 5, 1948, S. 299-340. Zwicky, F.: "Morphological Astronomy", The Observatory. Vol. 68, No. 845, Aug. 1948, S. 121-143. [Download in PDF] Thanks to The Obseravtory. Zwicky, F.: Morphology of Scientific Research and Engineering Invention, 28.3.1951 New York, Pestalozzi Foundation of America and Alumni of the Federal Institute of Technology, Zurich. Zwicky, Fritz. Morphology of Propulsive Power. Monographs on Morphological Research, No. 1 Pasadena, California: Society for Morphological Research, 1962. Zwicky, F.: "Morphology of Justice in the Space Age and the Boundaries of Outer Space", Astronautica Acta, Vol. 14, 1969, S. 615-626. Zwicky, F.: Discovery, Invention, Research - Through the Morphological Approach, Toronto: The Macmillian Company (1969). Zwicky, F.: Morphological Aspects of the Transport of Energy, Ekistics Vol. 30, No. 179 (1970). Zwicky, F. & Wilson A. (eds. ): New Methods of Thought and Procedure: Contributions to the Symposium on Methodologies. Berlin: Springer (1967). [Download Zwicky's contribution, PDF] Thanks to the Swiss Fritz Zwicky Foundation.